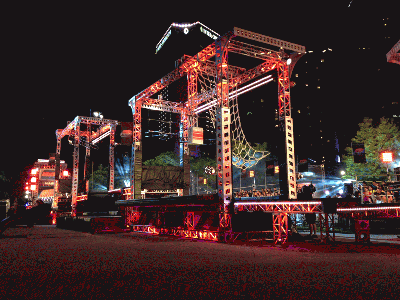 Nearly 500 Chauvet fixtures brighten up the elaborate obstacle course for G4TV's and NBC's “American Ninja Warrior” sports entertainment competition now shooting for its fifth season. A recent regional qualifying round was recently filmed in Miami, while the National Finals are set for Las Vegas this summer. Fifty SlimPAR™ Pro Tri and 300 COLORdash™ Par-Quad 7 wash lights serve as truss toner throughout the course, while 62 Nexus™ 4x4 fixtures spice up the set with blinding and pixel-mapping effects placed high on truss. 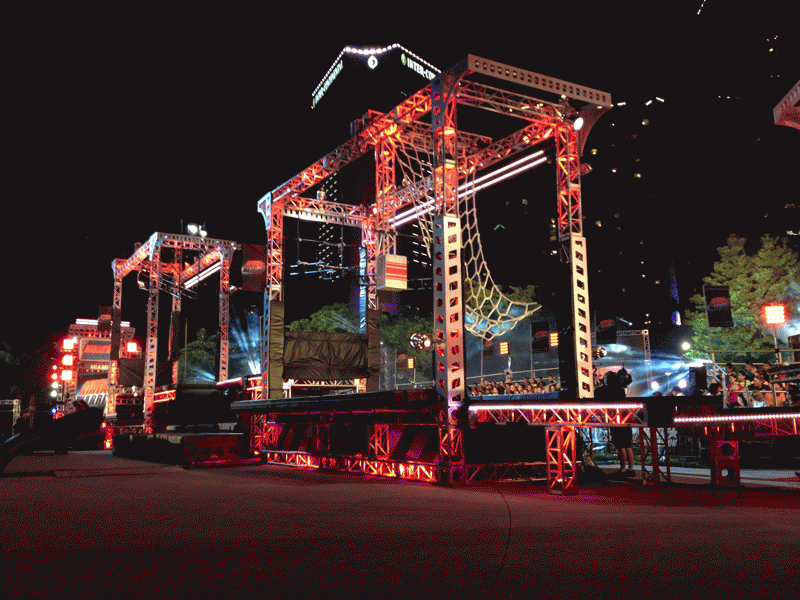 Sixty-two COLORado™ 1-Quad Tour wash lights highlight the “American Ninja Warrior” banners and the audience. All of the Chauvet fixtures are provided by Aspect Lighting company of Los Angeles.